I am so excited to have author Melinda Michaels here today to tell us a little about her new debut series that released just this week, Golden! Not only do I have an author interview but a guest post as well! Thank you so much Melinda for being here today!! MGO: Tell us a little about your book. Melinda: High school senior Hanna Loch just suffered a blackout in front of her entire homeroom class. She hasn’t had one in over ten years, and she’s terrified—the last time she blacked out, she woke up with no memory of her life before. To make matters worse, no one can explain why it happens. For Hanna, bad things tend to come in threes. MGO: When did you first know that you wanted to be a writer? Melinda: I have always wanted to tell stories. When I was younger, I thought I wanted to be an actress, until I discovered there were directors. After that, I was committed to being a director, until I realized there were writers. I wasn’t an avid reader until I realized most of my favorite movies were books. After that I was hooked and I knew that was my dream. MGO: Where did your inspiration come to start your book? Was there any research involved to create it? Melinda: I remember that I was at work when I had the idea, but I don’t recall what I was doing. I remember e-mailing my sister almost immediately explaining the story in a few short sentences. I did a lot of research on fairytales, folklore and the origin of those stories. Research is one of my favorite parts of the writing process! MGO: I really love the cover for Golden, how involved were you in the process of choosing and/or designing it? Melinda: I love the cover too! It was created by the talented Ashley Ruggirello at Reuts Publications! I fell in love with it from first sketch. MGO: What do you have planned next? Melinda: There will be five books in the Golden series. The sequel, Roses is already finished and the third book, Glass, is what I’m working on currently. Like most people I know, the story of Goldilocks is imbedded in my mind. In fact, a few dozen fairytales linger in my memory, some of which I’ve never actually read before writing Golden. Fairytales are such a large part of the beginning of our lives and the lessons speak to our morality, even shaping it. I was always partial to Goldilocks because she wasn’t the hero or even the victim. She was villain. She broke into a house, ate their food, slept in their beds and ran away without any consequence. I wanted to know more about her, the girl brave enough to enter a bear’s house. I researched Goldilocks and discovered a dozen different versions from a dozen different countries, the most notably, Robert Southey from England. I read hundreds Greek mythologies and Russian fairytales. I read biographies of those early authors who gathered these tales and found that while I was writing notes, I had begun to create a girl in my head. To me, she was the original Goldilocks, the girl that inspired the legend, but her tale didn’t end with the story. I started think about what happened after she ran away from the bears and for that matter, what happened to all the princesses at the end of Happily Ever After? Before I knew it I was emailing my sister an idea for a story. Then I emailed her four more times, about four more fairytales. What if they were real people? What if they had descendants? I started writing like crazy trying to keep up with my thoughts. I wrote out a synopsis first, to see if I had a story. Then a chapter outline, breaking down the tale. Once I wrote the character analysis I knew I had it. I wrote the first draft in two months. It was as if Golden had a life of its own and I was just there to put it to paper. 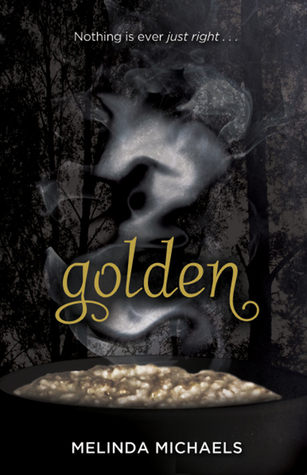 Golden is a retelling of Goldilocks. I believe that every mythology, legend and fairytale is based off of a true story that inspired a writer to create. I wanted to write a story that explained how they came to be, what happens after happily ever and how the beloved characters of our fairytales aren’t always what they seem to be. Thanks for the nice little interview, I didn't know about this book! What a great post! Very informative, as I didn't know about golden. After reading The Lunar Chronicles, I definitely want to try another fairy tale :) This sounds like just the thing. I really do too and then to be able to execute them just fascinates me, I'm just not that talented! Ooooo a retelling of Goldilocks? YES PLEASE! I so adore fairytale retellings and this is one that I have not come across before. 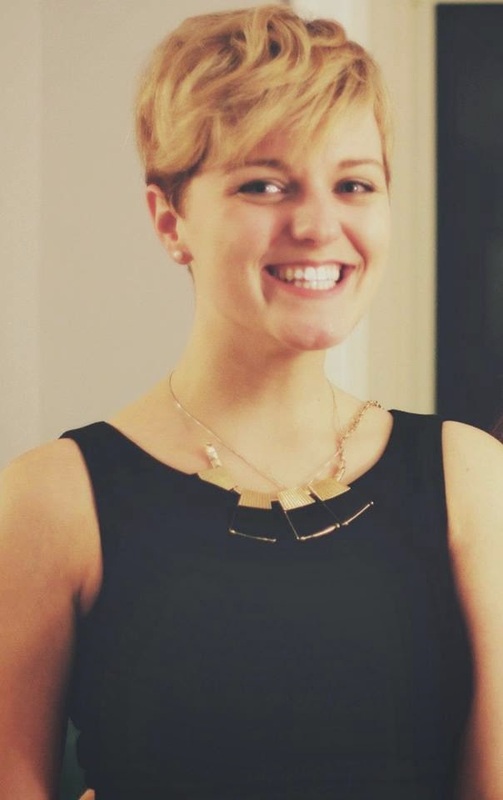 Thanks so much for the interview and guest post ladies! I really do too Jenny and I really hope we both like this one! Thanks so much for stopping by and checking it out Kim, I am so glad you are adding it to your TBR! I don't think I've seen a retelling of Goldilocks! This sounds very intriguing! I haven't either so I am hoping this is so much fun! Oh, how fun. I've never seen a book based around Goldilocks before. Well, I've seen a character in a book but not a whole story! I know right, it sounds like so much fun! Lovely interview and I do love retellings. I don't think I have read any with Goldilocks. This sounds promising. Great interview.